The San Francisco Board of Supervisors on Tuesday approved a spending plan on how The City’s transportation agency will spend some of the “windfall” money from the Education Revenue Augmentation Fund. Supervisors unanimously approved a $38 million spending plan that will help pay for the accelerated purchase of new Muni trains and improve energy efficiencies at maintenance facilities. Five million dollars will go into a small business impact fund to help businesses affected by delayed SFMTA projects such as the Van Ness Improvement Project. 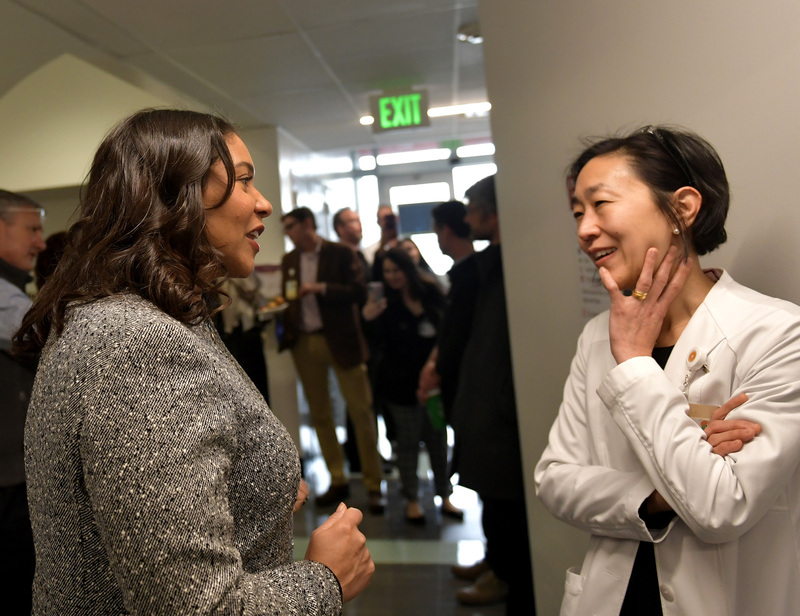 When Breed announced the windfall money last November, she pledged that all $38 million earmarked for SFMTA would go to funding the accelerated schedule for new Muni trains, but instead only $19 million will go towards the project. Officials with the San Francisco Municipal Transportation Agency said the new schedule would bring new trains to The City at the end of 2020 instead of in 2021 and have all of the trains arrive by 2025 instead of 2027. Ed Reiskin, director of transportation, said last week that the transit agency’s priority is replacing the old trains. Reiskin said the Breda trains are jeopardizing the reliability of the subway service due to the constant breakdown of the trains. A funding gap will likely exist to support any accelerated schedule for new trains, but the final cost for the new schedule is still unknown. The SFMTA is still negotiating with the manufacturer on the final cost, which would include costs associated with the manufacturer opening another facility and change order costs. Siemens is currently manufacturing the new Muni trains in Sacramento. Mandelman said the next round of ERAF funds could go towards the funding gap. SFMTA spokesperson Paul Rose said if the transit agency needs more funds, it will come instead from other projects in order to prevent any delays from receiving the new trains. Reiskin said staff will look at the transit agency’s projects in its capital program to seek additional funding if needed. Future ERAF funds could go back into the transit agency’s capital program for those projects, said Rose. Breed is not the only one who is not exactly pleased with how the transit agency will spend the ERAF funds. The SFMTA Board of Directors at its meeting last week were also not in agreement with the changes to the spending plan, though, directors approved the plan to at least get some funding for the new trains. Additionally, the San Francisco Transit Riders disagreed with the new spending plan.